A group of us from my Sacramento Poetry Writing support group for caregivers met for a holiday/oldies sing-a-long at caregiver Mary’s home yesterday. Yes, that’s me on the only available male lap of Bob. Raj, thank you for bringing your mom. She reminded us about the beauty of dignity that still resides in our loved ones. 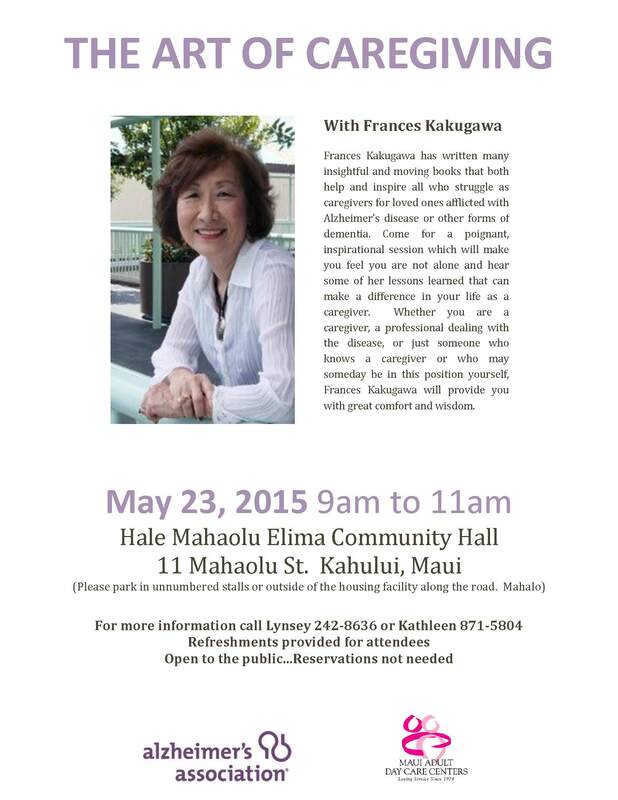 I will be making my first visit to offer a caregiving workshop session on Maui next month. For those of you on Maui (or with family or friends there who could use some insight), please consider attending. Thank you to Lynsey and the Maui chapter of the Alzheimers Association for inviting me. Open to the public. No reservation required. Yes, please make a line twice around the block. The correct date is Wednesday, November 12. The session will be held at the Alzheimer/Dementia Support Center in Modesto, California (700 McHenry Avenue, Suite B). 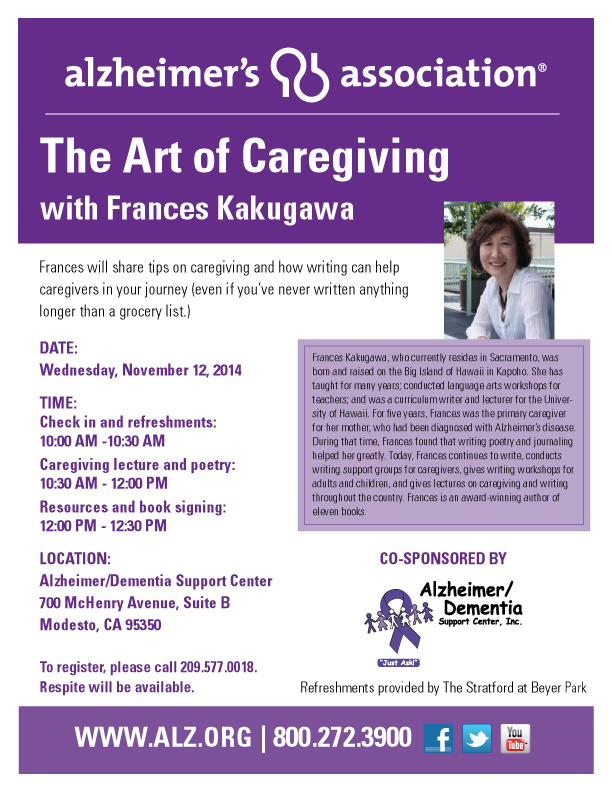 I will be sharing tips on caregiving and how writing can help you on your caregiving journey (even if you’ve never written anything longer than a grocery list). Check-in and refreshments start at 10am. Lecture begins at 10:30, followed by resources and book signing at noon. To register, please call 209.577.0018. Respite will be available. This event is presented by the Alzheimer’s Association and co-sponsored by the Alzheimer/Dementia Support Center. Refreshments provided by The Stratford at Beyer Park. Wed., Sept 24: Hilo Hawaii @ 5 p.m.
County Office of Aging: Kinoole St.
Tri-Isle Resource Conservation and Development Council. Inc. Here is an excerpt from my “Dear Frances…” column in the Hawaii Herald newspaper from last month. For my newest column every month, be sure to get your copy of the Hawaii Herald by subscribing. I’m taking care of my mother, who has Alzheimer’s. My sister and brother live out of town and criticize many of the things I do when they come to visit. How can I get them to understand and help me out? I find this common among many families, so I’m going to address this to out-of-town siblings: Become a pillar of support. This means, do not give advice to or judge the primary caregiver. Their job is all consuming and they are doing the best they can. Do not judge so easily that the caregiver is exaggerating because the loved one sounds so normal on the telephone. To find out what’s really going on, spend a few weeks, or even months, with your loved one without the primary caregiver in the house. Find out for yourself by taking on the role of primary caregiver. Before visiting, please check to see what dates are best for your loved one and his or her caregiver. There are schedules and appointments and unless you are able to take care of these, your visit needs to be coordinated with the caregiver — not made at your convenience. We need to respect the world created by the caregiver and the loved one. Finances: Contribute your share of expenses. Household: Pay for someone to do house cleaning or to take care of the yard. Carpentry: Work to make the house safe and Alzheimer’s-friendly. Express and show gratitude: For example, give gift cards for restaurants, massages, manicures, etc. Join a support group to learn about the disease and the demands it places on the caregiver so that you will have a better understanding of the situation. Educate yourself about the disease and its symptoms so that you will be able to converse on the same wavelength. This is now addressed to you, the caregiver: Be honest when you are offered help. 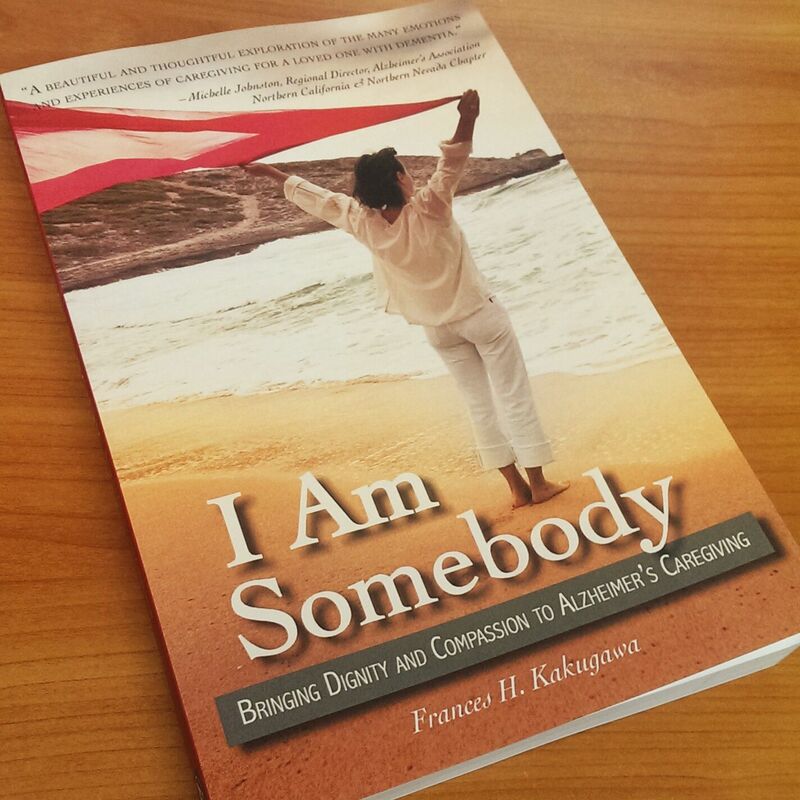 Asking for help does not mean that you are not the perfect caregiver. We often feel that others will not be able to give care like we do because of the structure and schedule we have established. Favorite foods, TV shows, music and activities. Both primary and out-of-town caregivers: Not everyone is cut out to be a caregiver, so be honest if you feel that you cannot handle the demands of being a caregiver and give help in other ways. My husband was just diagnosed with Alzheimer’s. I’m at a loss, and I’m scared. I know there is so much mis-information. Where do I begin to obtain good information? What kinds of meds? How do I make our house Alzheimer’s friendly? Whoa! One day at a time. One need at a time. We need to progress with his needs as the disease follow its course; otherwise, we will be overwhelmed and frozen with stress. To begin with, your husband’s neurologist is the best source for all of your medical questions. For information: Put together a list of your concerns and visit the Alzheimer’s Association office in your community. They can direct you to the right resources. If you cannot get through the neighbor island numbers listed below, call the Honolulu office for information. The National Alzheimer’s Association contact number and website are: 1-800-272-3900, www.alz.org. Call them for help. Another good source is the Eldercare Locator, which you can reach by calling 1-800-677-1116, or visiting www.eldercare.gov. Eldercare Locator helps families find resources and services in their own community (home care, adult day care and nursing homes). Eldercare Locator is a public service of the U.S. Department of Health and Human Services’ Administration on Aging. If there are support groups in your area, consider joining one, for it is here that you will not feel alone. You will learn how others are resolving some of the same problems you are facing. When I joined a support group at the Alzheimer’s Association, there were caregivers with loved ones at all stages of the diseases. That gave me insight into what to expect on a general level. I say “general” because there are individual differences in how this disease affects each person. Caregivers are very creative and these support groups are filled with them. The local libraries probably have these books on their shelves, too. Remember: Take a deep breath . . . one day at a time.